I know you’ve thought about it…the idea of retiring early is certainly palatable. It’s not so much about reaching a certain age, but about getting to a point where you know you can support yourself from here on out. To many of us the idea of retiring early is just a fantasy that we let play out in our minds. We think about all the things we could do if we had more free time. And we smile at the thought of all of the job related BS we wouldn’t have to endure ever again. No one thinks they can retire early, but man oh man we wish we could. What if I told you your dream of retiring up to five years before you planned can happen? Getting to retirement isn’t as hard as you think. 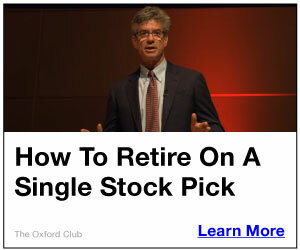 Well at least it won’t be if you make some immediate tweaks to your current saving and investing choices. There aren’t many tweaks…just 5 things you need to start doing right now. And if you do you can realize your dream of retiring years ahead of when you thought you could. Although there are 5 necessary things you need to do, this one is the most important. If you don’t tweak this one thing, don’t even bother attempting to do the rest. Why is that? Because spending habits can prevent you from retiring at any age. How much you spend is the single biggest deciding factor on when you’ll be financially well enough to retire. In fact it’s more important than how much you earn. If you earn a relatively small salary, but are able to control your spending you will most likely be able to retire before someone who earns a lot of money and whose spending goes unchecked. It’s important to keep your spending relatively low and in balance if you want to retire early. The more you can stop yourself from spending, the earlier you’ll be able to retire. Spending doesn’t just pertain to discretionary income either… your level of monthly bills also affects your spending habits. If your monthly bills, including mortgage, utilities, phone and all other recurring monthly charges add up to more than 45% of your earnings, then you can forget about retiring early. You’ve got to spend less, across all categories. It may not sound like a fun idea but if you can reduce your mortgage by selling your current house and moving into a less expensive one (which will have a trickle down, money saving effect on the rest of your monthly bills) you can realize your dream of retiring early. You just have to ask yourself which is more important? Your current house or getting out of the rat race five years ahead of schedule? Only you can answer that question. The idea of selling your current house in favor of a less expensive one is not a popular idea, I get that. But besides reducing your overall monthly bills, it’s important to have your mortgage completely paid off before you retire. Aside from the one Uncle Sam sends you, your monthly mortgage is the biggest of all your bills. You simply shouldn’t try to retire without knocking the largest of all your bills off your shoulders. 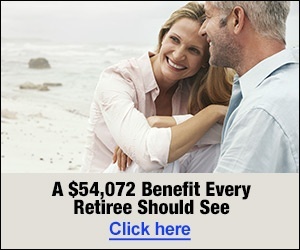 You’ll need that extra cash that used to go towards your mortgage to fund other things in your retirement budget. It’s also a good idea because then your home becomes an asset that you can borrow against or sell if you absolutely need the money. OK, enough about spending and your bills. I know you get it; you have to cut back some if you want to retire early. Let’s move on to the money that’s coming in, rather than going out. What you do with all this money you aren’t spending is an important deciding factor to figuring out if you can retire early. You’ve got to put your money to work for you. Think of every dollar you have as an opportunity to retire early. The more opportunities you build up, the greater your chances. How do you build up enough dollars to do this? For this you’ve got to invest like the super wealthy. The super wealthy in our country got that way because they put their money to work for them, instead of working for their money. You have to do the same. Make your money earn you money. What exactly are the super wealthy doing to make their money earn them money? Well their certainly not socking it away in saving and money market accounts. If you have one cent more than the few thousands dollars you need to have access to for emergencies languishing away in a bank you’re not going to be able to retire early. You’ve got to put your money to work. First of all the super wealthy invest their money. You should be doing the same. I know you’re probably thinking in your head right now that you do invest your money. You probably have a 401 (K) that you contribute to each month. But how much are you contributing to it? Just enough to get your employer match? 10 % of your salary? That’s not enough. You’ve got to invest up to the maximum amount. For 2014 that number is $17,500. You can contribute an extra $5,500 a year if you are over age 50. You need to invest in an IRA in addition to your 401(K). 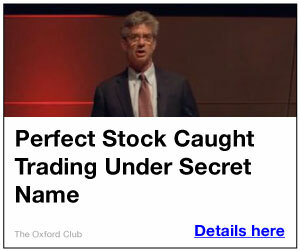 The stock market is hot right now. It’s gone up 180% in the past five years. Simply depositing your money in an IRA and realizing the huge gains the stock market has been handing out lately will get you to retirement that much quicker. 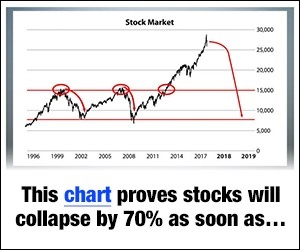 Although a pull-back is likely coming this year, it won’t be so big of a drop that you won’t still be able to make big gains. Either way, having 2 investment vehicles is better than one. Another thing the super wealthy do is diversify. Diversification is about more than just maintaining a portfolio that invests in numerous sectors and indexes in the stock market. Even though tech stocks have been on fire for the past few years, doesn’t mean you should allocate your entire portfolio to this sector. Spread your wealth around between different types of assets as well. Investors used to be told that as they age, they should shift more of their stock gains to bonds. That way once they reached retirement most of their portfolio was in relatively safe assets. But that way of thinking no longer applies. That advice really only worked for people with pensions who only lived 10 or so years after retiring. Now a days, hardly anyone receives a pension and people are living for twenty to thirty years after retiring. This shift in the way we live, means you need to shift how you invest too. You should still have as much as 50% of your portfolio in stocks and other equities when you get to retirement. It’s the only way to keep up with inflation and have enough money when you are 90. You also need to make a plan for health care. You can’t get Medicare until age 65 and most likely your employer won’t provide it for you either once you retire. You are allowed to get COBRA coverage from your employer after you retire. The problem is that you can only do that for 18 months after you quit your job. Most likely you’ll need to get an individual policy through a health care insurer. Individual plans can come with a lot of sticker shock. A lot of people don’t realize until too late that their employer was paying the lion’s share of their premium. Be sure to get quotes from multiple health insurer’s before you retire so you’ll know how much of your budget will be going to this service. Of course all of these tweaks are fine and dandy, but if you don’t know how much you need in order to retire, then all of these changes were a waste of time. You can’t set an unmeasurable goal, like wanting to retire early and close your eyes on how to get there. Spend some time figuring out just how much you’ll need in retirement. Create a monthly budget, make sure it’s realistic and make sure your retirement portfolio can provide that much. You won’t need a 100% of your current income level in retirement, but you’ll probably need more of it than you think. Most people have trouble adjusting to a significant drop in income so always plan on having more than you think you need. If your current budget is about $10,000 a month, plan on needing about $8,000 a month in retirement. Being unrealistic about how much you need is a surefire way to send yourself back to work because you ran out of money faster than you thought. Retiring early doesn’t have to be a pipe dream. It can be achieved, if you really want it. You’ll likely have to make some changes that will pinch a little at first. The sting will go away quickly when you can leave the rat race that many years ahead of schedule.